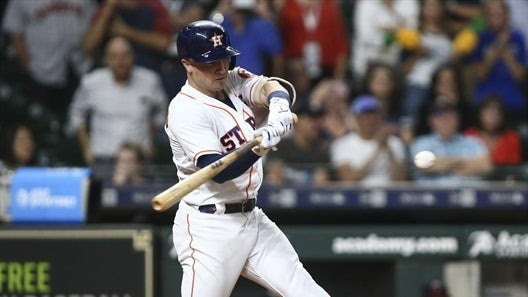 Photo by USATSISCHNOOKERS got the league’s top RBI performance this week from Alex Bregman. Bregman tallied 9 RBIs while leading SCHNOOKERS to 55 RBIs overall. He got to 30 home runs on Saturday, and probably reached that same number in impressive dugout celebrations. SCHNOOKERS stayed in 2nd place in the RBIs standings. SPACE COWBOYS are running away with the saves category because of weeks like this one. They had themselves a fine week in the saves category, logging 3 of them. 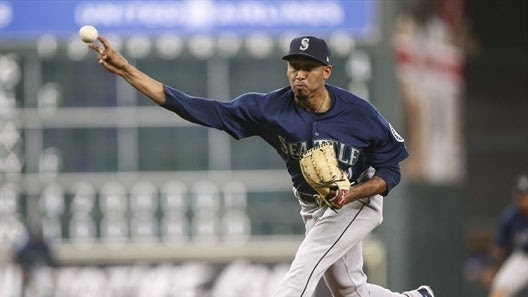 Coach Denton’s squad relied completely on Edwin Diaz, who posted 3 saves to go along with a 0.00 WHIP in 3 appearances. SPACE COWBOYS are miles, well, 13 saves, ahead of DEADWOODS. Another week goes by, and yet again MASTERBLASTERS does well in stolen bases while having issues in ERA. In the stolen bases category, they moved into 2nd place this week after putting up 6 stolen bases. Meanwhile, in the ERA category, their 6.02 ERA caused them to drop two spots into 12th place. SMOKING GUNS embarrassed themselves in the ERA category this week, recording a 6.75 ERA. They were practicing their manners as they put every other team ahead of themselves in the ERA category. Heath Fillmyer was clearly the weakest link for Coach Quinn, Cavan Quinn and the gang as he sported a 23.14 ERA in 2 and 1/3 innings. No surprise then, SMOKING GUNS fell from 5th to 7th in the ERA standings, 0.01 ERA behind TEABAGGERS. Things weren’t better in other categories, as SMOKING GUNS fell from 8th to 10th in the overall rankings. SKINS remains in 7th place overall for the 6th straight week, despite some sub-par performances. They dropped in six stat categories, including moving down one spot in batting average. It will be difficult for Coaches Mark Hodgkins and Frank Grzegorzewski to fault any one player for the result. SKINS were brought down by eight underperformers, the worst of whom was Nicky Delmonico (a .077 BA). Unfortunately, more bad performances might be on tap for Delmonico, who has seen his batting average performance deteriorate in each of the last three weeks.